We received notification today that Caring Voices has closed their 2017 roster of patients that they are able to help for the time being. Very little guidance was given about what this means for the remainder of 2017. There is a possibility that they will reopen their roster and be able to expand the number of PAH patients that they help. Unfortunately this has left thousands of PAH patients across America with very large out of pocket expenses to pay for their pulmonary hypertension medications. There are a few options that are available. First, another foundation called “Good Days” is still accepting applications on their website www.mygooddays.org so don’t delay. Connect with them as soon as possible. We expect many patients to be stuck until the drug companies come up with a new solution. For patients that are taking Adcirca, one option is to switch to generic Sildenafil. Getting 20mg three times daily will be easy and there will be minimal copay. However, in my experience, the equivalent dose to 40mg of Adcirca is 80mg three times daily of sildenafil. This may result in higher copays. For patients taking ERAs (endothelin receptor antagonists) such as Letairis, Opsumit or Tracleer, there is not yet a generic alternative. We are currently engaged in discussion with the involved manufacturers and eagerly await their plan. The PAH drug companies stand to lose tens of millions of dollars in revenue if patients can’t afford their medications. What can you do? Call, write or email your congressman. Make noise and be heard. 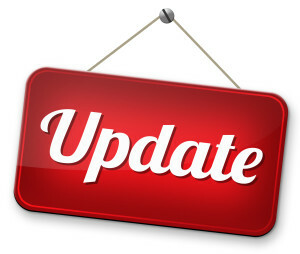 We will continue to update the PAH community as information becomes available.